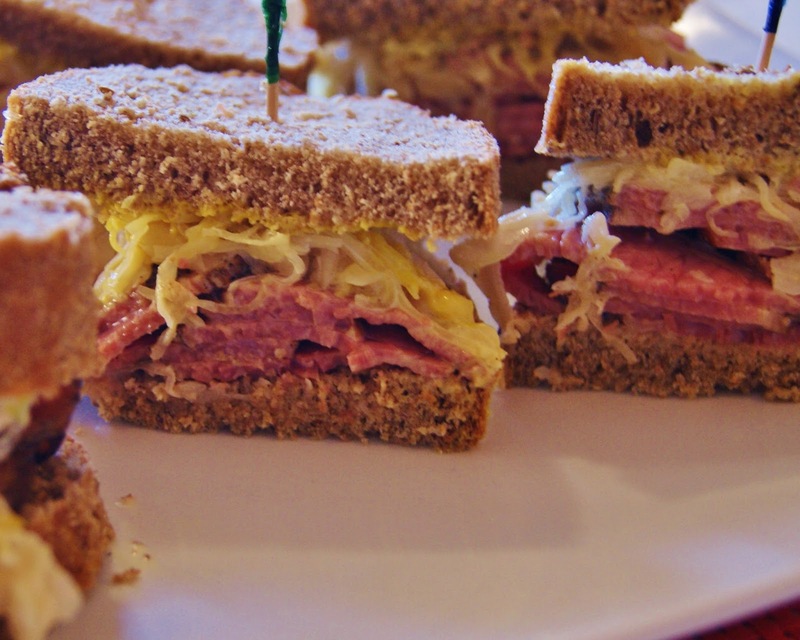 - Place 4 slices of the pastrami on once slice of bread. Add pastrami, sauerkraut and mustard. Serve with side of pickles and coleslaw.